The Rise of Women in Current British Politics and Business. The gender balance in UK Politics. With Alex Salmond stepping down from his position as leader of the Scottish National Party next month, after Scotland voted against independence, Scotland’s three largest parties look set to be helmed by female politicians. Salmond’s current deputy first minister, Nicola Sturgeon, is to take his place, as nobody within the party has chosen to run against her. She will join Johann Lamont, leader of the Scottish Labour Party, and Ruth Davidson who is the current leader of the Scottish Conservative Party. This would provide a stark contrast to England’s current all-male leadership, and could spark a change in the current gender-balance of UK politics. In the UK, of the current 650 politicians, just 147 are women, as of the 2010 general election. However, Scotland’s parliament is composed of 35% women, compared to the House of Commons, which stands at roughly 20%. 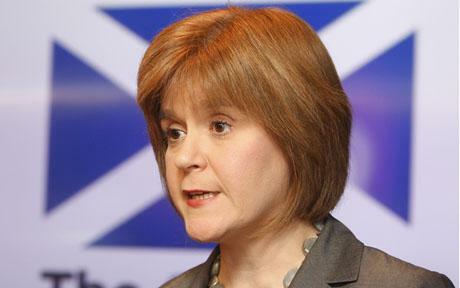 So what could this new change to Scotland’s leadership mean for women in politics? All three of Scotland’s largest parties, as well as two of the largest parties in Wales, have a woman as leader. While in England, Harriet Harman serves as deputy shadow Prime Minister, and Home Secretary Theresa May is arguably one of the most powerful people in British politics. Like Lamont of the Scottish Labour party and Davidson of the Scottish Conservative party, her position was achieved through her passion and ability, as any position anywhere should be achieved, so why then do we continue to have such a large gap in the representation of women in UK politics, compared to, say, Sweden and many other Nordic countries? It’s certainly a big step in the right direction towards a more proportional gender representation, certainly in Scotland, and hopefully with coming elections we will begin to see this becoming the norm. So normal, in fact, that it won’t even be something worth commenting on, making articles like this largely unnecessary. But despite this female leadership seen in Scotland and Wales, the power still largely remains with the male lead parties in London. With the ever-looming 2014 elections, likely to be this coming May, it remains to be seen how much closer we step towards a gender balance within UK politics as a whole. With the female leadership of Scottish politics, and the rest of the UK’s current political representation, how does this compare to the rest of the world at work here in Great Britain? Since 2011, the percentage of women in the Financial Times Stock Exchange top 100 has risen from 12.5% to 20.7%. A substantial leap in a fairly short amount of time, but still nowhere near a proportional percentage. However, only 6.9% of senior executive roles within these companies are held by women. In September, Véronique Laury was named the new owner of Kingfisher, who owns B&Q and many other DIY companies across the globe. This brought the number of female chief executives within the Financial Times Stock Exchange top 100 up to a resounding five. Which, when compared to the ninety-five other businesses in the list, may seem a little low. Among them, she joins Carolyn McCall, CEO of Easyjet, and Moya Greene, CEO of The Daily Mail. Culture can be slow to change, but hopefully, when it does, it will become something no longer worthy of note, something so incredibly normal that people will be surprised it was ever an issue at all. If you are a woman, and you feel you could achieve higher, you can always use www.Strike-Jobs.co.uk to help start shift the current gender imbalance in the world of work in the right direction, and start the cultural change in the UK. ← Outrage After Lord Freud’s Comments on Minimum Wage for People With Disabilities.